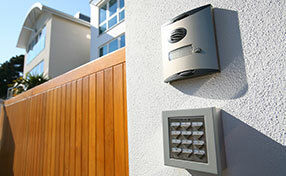 The capacities of home and commercial gate intercom systems today are tremendous! They can change your life completely. They provide great convenience and comfort for those living and working in huge buildings, but also to single family home owners. When you need to invest in a reliable, high tech Intercom System, you should also invest in the expertise of our technicians at “Gate Repair Manhattan Beach”. We have devoted time to explore the potential of such systems and now we take great pride for being great experts in intercom installation. In fact, we are familiar with all models and different systems manufactured by Doorking, Aiphone and Linear, are experts in their programming, repairs and installation. We are also aware that what's new today is old news tomorrow and for this reason we keep getting updated with changes, innovations and developments of all sorts in our industry. It is the duty of our gate repair contractors to keep informed and train often and according to novel products. We learn all about the newest intercom phone enter systems and try them out. We know how to program Doorking intercom systems and we also know which system will be best for you. Asking the expert opinion of the intercom specialists at Gate Repair Manhattan Beach is a necessary step in order to get exactly what you need and be sure of its good quality. We can provide you with intercoms with two ways of oral communication and you will also be able to see the people standing at the gate of your house. Intercoms can be connected to phones or have different lines and, in fact, you will have a plethora of choices that will make your life much easier and most of all much more secure. We are experienced and modern professionals with long training and lots of knowledge of these systems and promise fast response and great intercom repair services. Don't hesitate to contact us today for same day service!